In 2018, Moorestown residents demonstrated their passion for standing up for change, giving back to those in need and making their voices heard. Moorestown faced changes both large and small in 2018. 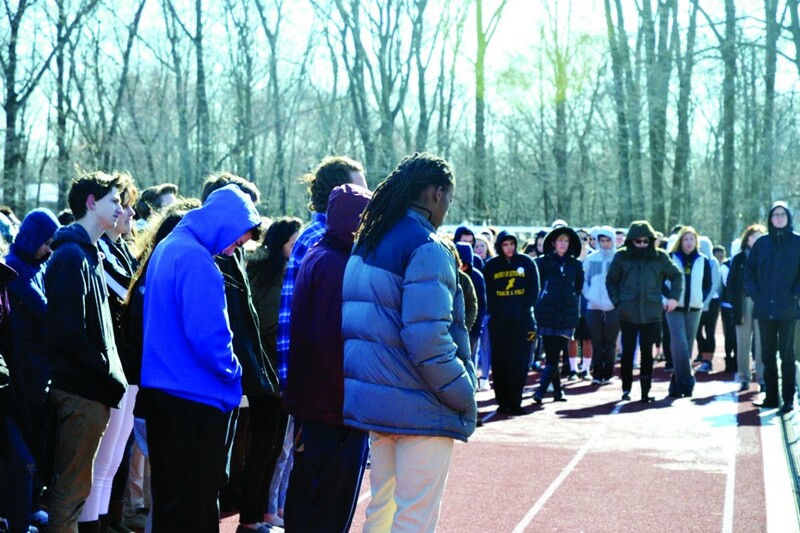 From reaching a settlement with Fair Share Housing to tackling growing class sizes, both the township and school district faced their challenges, but along the way, Moorestown residents demonstrated their passion for standing up for change, giving back to those in need and making their voices heard. As 2019 approaches, here’s a look back at the events that made headlines in the first half of 2018. The evening began with Jordan’s predecessor as mayor, Manuel Delgado, thanking his family, township employees and fellow council members for their support. He said when he accepted the position a year ago, he hoped to serve “respectfully and with integrity” while also moving the town forward, and he looked forward to continuing this work with council. 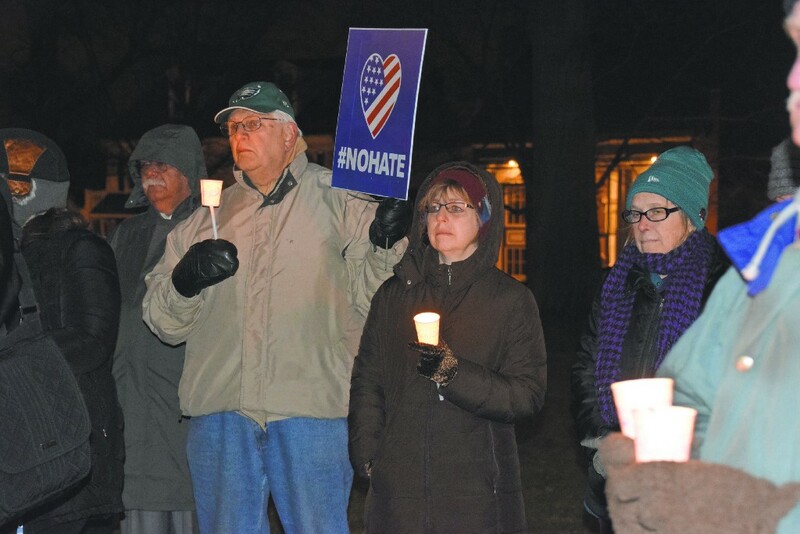 On Monday, Jan. 15, the lawn of the Moorestown Community House was illuminated by a soft glow as a crowd gathered for a candlelight vigil honoring Martin Luther King Junior Day. The event was sponsored by the Moorestown Democrats and My Hometown PAC and featured speakers whose messages centered around setting a positive example for the next generation. “Today’s not a day off; it’s a day on — a day of service to our neighbors and our community,” state Sen. Troy Singleton from the 7th Legislative District said. Singleton said every day is a call to action and a challenge to Americans to try to embody the dream King lived. He said there is “too much derision and division” in the United States, but all Americans are bound together by a shared sense of nationalism. He challenged every person in attendance to start making a difference in their local community by committing to small acts of service. Moorestown Township reached a settlement in principle with Fair Share Housing Center. While Fair Share Housing originally proposed a 1,667-unit affordable housing obligation, the township negotiated its obligation down to 606 units through the use of a vacant land adjustment. However, through a combination of negotiations, the vacant land adjustment and various credits applied, the township will end up building 337 units. Council held a special meeting in Town Hall on Thursday, Feb. 9, to share the news with residents. The township chose to seek a vacant land adjustment. Under the Fair Share Housing Act, municipalities with a scarcity of vacant land can request an adjustment in the calculation of their fair share housing obligation. The adjustment requires municipalities to identify vacant and developable land and calculate the possibility for development to arrive at the town’s Realistic Development Potential. Moorestown Township Manager and Chief Financial Officer Thomas Merchel announced at the Monday, Feb. 5, council meeting he would be stepping down as township manager. Merchel would continue on in the role until the township finds a replacement, at which time he would serve solely as CFO. 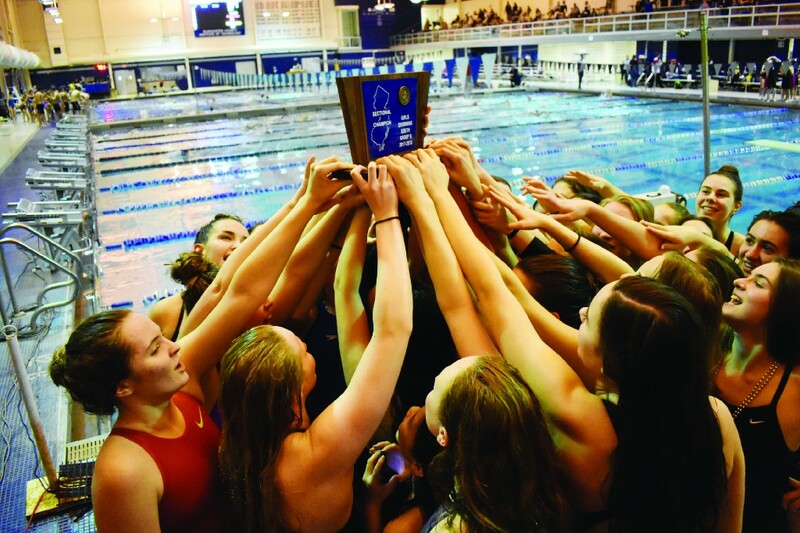 In February, Moorestown finally broke through, defeating Ocean City, 99–71, and winning the program’s first sectional title since 2004. The victory also ended Ocean City’s four-year reign atop South Jersey Public Group B.
Throngs of Eagles’ fans made their way to the Moorestown Community House on a drizzly morning as the sound of the Moorestown High School Madrigals’ rendition of “Fly, Eagles Fly” echoed down Main Street. The green adorned crowd assembled on the Community House lawn was there to honor a pair of Moorestown coaches who helped lead the Philadelphia Eagles to their Super Bowl LII victory. 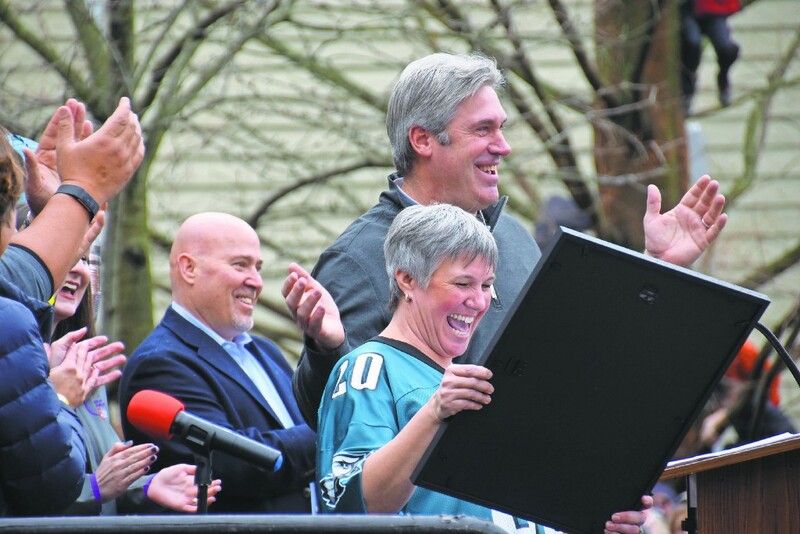 Saturday, Feb. 24, was proclaimed “Coach Doug Pederson Day” in Moorestown. Township council recognized Moorestown residents Pederson, head coach of the Philadelphia Eagles, and Eugene Chung, assistant offensive line/ tight ends/ run game coach. Jordan presented Pederson with the proclamation among booming applause. “Doug Pederson exemplifies Moorestown’s values of community, teamwork, dedication and resolve,” Jordan said reading from the proclamation. In late November 2017, the Moorestown Township Planning Board formally recognized Moorestown Creates as a subcommittee of the Sustainable Moorestown Green Team. Moorestown Creates is working on new ways for artists to share both their work and experiences with other people in town who share their interests. “The whole concept of Moorestown Creates is to take the groups and individual artists in town and bring them together,” Georgean Wardzinski said. Wolf Skacel, chair of Sustainable Moorestown, said now that the group has been formally recognized, they are working on an increased push to have artists publicize their events on Moorestown Creates, so residents can look at the page’s events calendar to find out what arts events are taking place in town. Moorestown Creates is also facilitating opportunities for artists to mingle among themselves. On Wednesday, Feb. 21, the group held a social gathering for artists at the Moorestown Community House where they invited members of the artistic community in town to meet one another and share ideas. At a special meeting on March 6, Town Council revealed the proposed locations where affordable housing will be developed to satisfy its obligation of 337 units, if the plan is approved in court. Beth McManus, the township’s housing planner, said the township will user four developer intervenors at sites on Centerton Road, Route 38 and the Lenola Shopping Center, and zoning overlays at the Kmart lot, the Moorestown Mall and the Lenola Shopping Center to meet its obligation. According to McManus, intervenors are developers who request the inclusion of their site in the township’s affordable housing plan. She said the township ultimately negotiated with these intervenors so the township can have a degree of control over the properties. Several years ago, there was a desire within the Moorestown Department of Parks to develop programming for special needs teenagers. In March, the department’s Social Meeting after School Hours program was recognized for its efforts, having won the 2017–2018 Jacquie Stanley Excellence in Therapeutic Programming award from the New Jersey Recreation and Park Association. The goal was to create a program that gave teenagers and young adults with special needs an opportunity to participate in social activities. She said SMASH provides safe and interactive programming while promoting independence, creativity and confidence. She said the program helps foster friendship and in doing so, helps combat loneliness and depression. In April, the William Allen Middle School media center became a safe space to address hard issues. The evening marked the discussion titled “A Forum on School Safety and Security” in the first installment of the Moorestown Township Board of Education’s Community Engagement Series. Shawn Counard grew up around the Moorestown community and taught near it for years all the while hearing about the overwhelming sense of community support for the local school district. In April, Counard accepted the position of Moorestown High School’s athletic director and supervisor of health and physical education. In July, he stepped into the role. In May, Destiny Church, a predominately African American church, announced it was merging with Maranatha Christian Fellowship, a predominantly Caucasian church, in a joint effort to work toward ending this segregated hour. The merger took place on July 8, and once the two churches became one, Pastor Jonathan Leath and Pastor George Bowen shared pastoral responsibilities as the two congregations gathered under one roof. Leath said he’s had a long-standing desire to have a multicultural church. In 2014, he tried to merge Destiny Church with a church in Burlington City, but when that didn’t work out, he moved his congregation to Moorestown where they met at William Allen Middle School for a time until Bowen offered Maranatha Christian Fellowship’s space. Over the years, the two churches held joint services, and each pastor occasionally preached for the other’s congregation. However, nearly a year and a half ago, the two pastors had serious discussions about what it might look like if their two churches merged. Bowen said, with recent racial tensions in the country, he and Leath agreed it seemed like the right time for a change. The Moorestown Board of Education unanimously adopted the 2018–2019 budget at a special meeting in May. Residents faced a tax increase with the average assessed home valued at $450,470 facing an additional $92 in school taxes. The total budget was $72,046,232 with approximately $62,936,029 to be raised through taxation. The district received a 9.4 percent increase in state aid this year, which resulted in approximately $300,000 in additional funding. Moorestown teachers showed a unified front at a May board of education meeting as they took turns speaking about the power of a word. A proposed change to the district’s class size policy up for second reading in June inserts language that elementary grades “shall generally not exceed” 25 students and not exceed 22 students in kindergarten. Teachers discussed how “generally” changing the policy could open the door for class sizes to rise. The proposed policy inserted the word “generally,” and stated the superintendent must notify the board at its next meeting if a class size falls outside of the outlined range. McCartney said under the current policy, standard practice is the superintendent comes to the board for a waiver when class sizes exceed the maximum. Between the board’s April and June meetings, the policy was changed to eliminate the word “generally.” At the board’s May meeting, several teachers expressed their concerns that the word left some leeway for the administration to exceed cap sizes. McCartney said based on feedback from staff, parents and board members the word “generally” was stricken from the update to protect the class size guidelines. For the last 20 years, Leisa Karanjia’s constant goal as principal of South Valley had been to help every student to cultivate their own love for school, and as she left the Moorestown school district in June to start the next chapter in her life, she said she feels very fortunate to have had the opportunity to meet so many teachers, students and families who share this same passion. Karanjia said during her time at South Valley, there was no such thing as a typical day. She said she frequently visited classrooms, but much of her role involved coaching. She said on any given day, she helped students to work through problems and taught them to be kind to one another. Some days, she helped students learn how to apologize; other days, she taught students how to use their words to assert themselves. Along the way, Karanjia made a point to learn every student who walks through the doors of South Valley’s name, and each year, she made it a point to learn all of the new students’ names by Halloween. In seventh grade, Laura Tsai and William Wang were the only William Allen Middle School students on the advanced math track in Algebra 1 together. In eighth grade, the pair formed a friendship walking from WAMS to Moorestown High School for their geometry class. In June, the two friends celebrated a milestone together as Tsai was named the class of 2018 valedictorian, and Wang was the salutatorian. “It’s funny how it started out as just the two of us on the math track,” Tsai said. Tsai was to attend Harvard University while Wang was to attend the University of Pennsylvania. 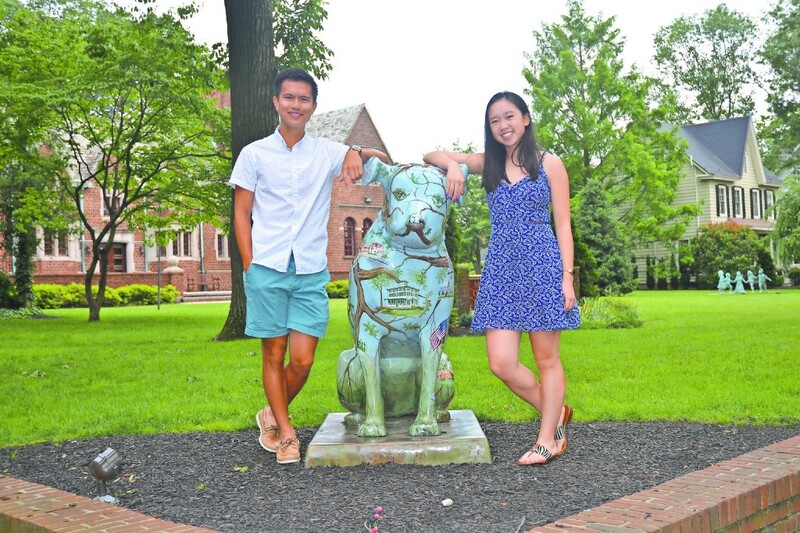 Prior to making their way to the Ivy League, Tsai has been in the Moorestown School District since kindergarten, while Wang moved to Moorestown in fourth grade. They were in many of the same classes over the years. Tsai took six Advanced Placement courses her senior year, and Wang took seven. In June, Burlington County took the lead in security enhancements, being the first county in the state to offer a $20 million grant program that will allow school buildings to be more secure. Rancocas Valley High School Superintendent Christopher Heilig was first to speak at a press conference held outside the high school on June 12. Burlington County Freeholder Director Kate Gibbs said she refused to stand by and do nothing while they wait for the next Parkland, Santa Fe or Sandy Hook tragedy to occur. The $20 million equated to half of the county’s annual capital budget, and there is no anticipated impact to county property taxes, as less-pressing issues were to be deferred and school safety prioritized.